Pump of the Year! by the American Pumpers Association. Easy-to-use enhancement pump with EZ grip handle plus two interchangeable sleeves. Flanged cylinder with universal measures. Removable sleeve provides added stimulation, or may be used independently as a masturbator. Tapered Silicone donut for maximum suction. 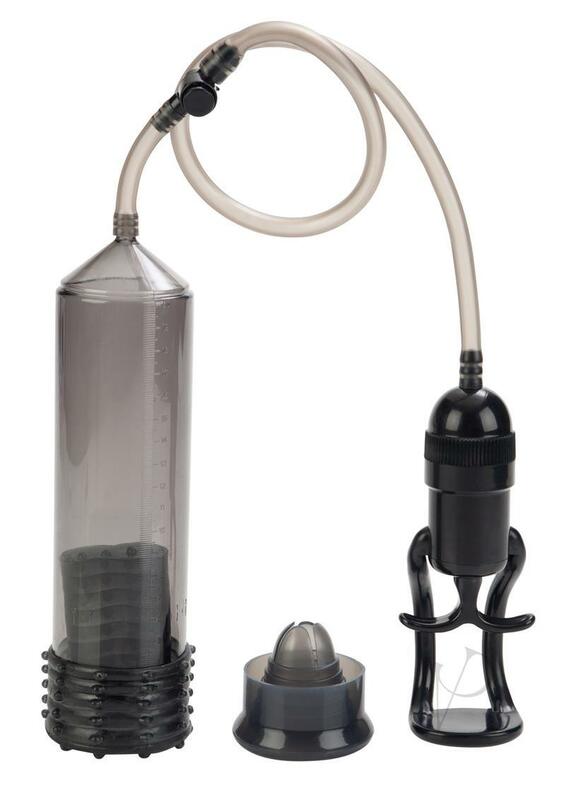 SAN (cylinder) ABS (handle, release valve) Phthalate-Free PVC (hose) TPR (sleeve) Silicone (donut). 5.25" x 1.75"/13.25 cm x 4.5 cm (sleeve).